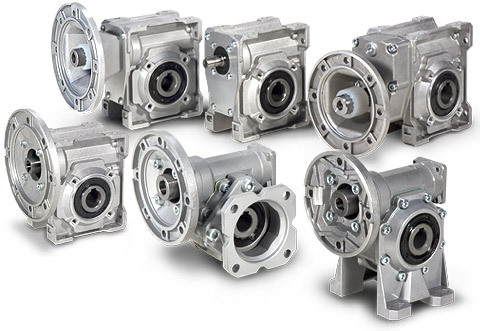 Tramec's "X" series is our universal mount worm gear speed reducer, the H brings a high efficiency helical primary reduction to the X worm & gear. Series XH offers the same features as the series X, however with the benefit of a spur gear primary stage on input to provide higher performance and a wider range of ratios. 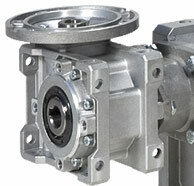 The X and H are available in A shaft input, C close coupled input, and F flange & coupling input. Frame sizes 90 and 110 feature a cast-iron housings, whereas smaller sizes use die-cast alloy aluminum housings. The worm shaft is manufactured from alloy steel, case hardened, and precision ground. The worm gear utilizes a cast iron hub with forged bronze gear ring for optimum strength and efficiency. Hollow output shaft is supplied as standard, single or dual unishaft outputs, exended highspeed shaft, output flange, electric motor, torque arm, and torque limiter are available options. X and H series reducers are lubricated for life with synthetic gear oil.